May 14th National Dance Like a Chicken Day! Although we may not like to admit it, we all have rocked the Chicken Dance at least once or twice in our lives. This silly dance is a perennial favorite at birthday parties, bat mitzvahs, weddings, and other family gatherings. A Swiss accordion player named Werner Thomas wrote the melody for the Chicken Dance song in the late 1950s. In 1963, he began performing it at his restaurant. The people who bravely stood up and danced along to the tune often used sporadic movements that reminded Thomas of ducks and chickens. By the time the Chicken Dance arrived in America in the 1970s, it had acquired set choreography with repetitive beak, wing, and tail motions. Today, the Chicken Dance has earned a permanent place in the pantheon of cheesy party dances. Other favorites include the Hokey Pokey, the Electric Slide, and the Macarena. To celebrate National Dance Like a Chicken Day, turn on this familiar tune and dance like a chicken! So how do you celebrate this special day? Simple, dance like a chicken! Says it all in the name really and of course you don’t just dance without any music, it has to be the chicken dance song, also known as the Birdie Song. May 15th is National Bike to Work Day, sponsored by the League of American Bicyclists and celebrated in communities from coast to coast. Established in 1956, National Bike Month is a chance to showcase the many benefits of bicycling and encourage more folks to giving biking a try. May 18th is International Museum Day International Museum Day (IMD) is a celebration that held every year on or around 18 May, coordinated by the International Council of Museums (ICOM). The event highlights a specific theme that changes every year and that is at the heart of the international museum community’s preoccupations. International Museum Day therefore serves as a platform to raise public awareness on the role museums play in the development of society today, on an international level. May 25th National Tap Dance Day falls on May 25 every year and is a celebration of tap dancing as an American art form. The idea of National Tap Dance Day was first presented to U.S. Congress on February 7, 1989 and was signed into American law by President George H.W. Bush on November 8, 1989. The one-time official observance was on May 25, 1989. Tap Dance Day is also celebrated in other countries, particularly Japan, Australia, India and Iceland. Tap dance day can be celebrated with an event which may be organized by a studio or tap dance interest group. Some may also celebrate it individually due to geographical dispersion or lack of access to the wider tap community. National Tap Dance Day is celebrated in many different ways. For example, a studio may send people out onto the streets to teach the “Shim Sham Shimmy” to passers-by. However, there are several cities that have their own performances and events to coincide with Tap Dance Day. App: Mind Body Connect This app is for anyone who loves wellness. Whether you want a great workout, a chance to relax, or just to feel beautiful, the perfect place is waiting. Use MINDBODY Connect to find it, book it instantly, and even pay—right from your phone. Once you find a place you love, save it as your favorite, and book your next visit in seconds. Tens of thousands of businesses use MINDBODY software worldwide, and when you register for MINDBODY Connect you can instantly sync the app with the accounts you have at all of your favorites. Book: South Carolina State Parks Guide Stunning forested mountains and towering waterfalls, blackwater rivers and scenic inland lakes, white sand beaches and ancient island shores, treasured American historic sites and priceless cultural treasures.With more than 80,000 acres of protected lands from the Blue Ridge Mountains to the sand dunes of the Atlantic, South Carolina State Parks protect some of the most inviting natural, cultural and recreational destinations in the US.At scenic State Parks, you’ll find the best boating, mountain biking, horseback riding, fishing, kayaking, canoeing and hiking in South Carolina. One of the original 13 Colonies, South Carolina’s significant contributions to American history are brought to life in historic parks throughout the state. A popular family, sporting and group vacation destination, South Carolina State Parks feature cabins and villas, campgrounds, picnic areas, meeting rooms and even equestrian stables. 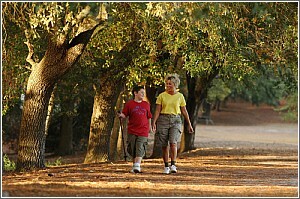 South Carolina State Parks have a wide range of trails to offer. From tire treads, to hoofs, to boots, there is a way for everyone to exercise and explore. Download the Official Guide to South Carolina State Parks. Aromatherapy: Tea Tree Oil Aids In Increasing Low Energy LevelsTea tree is a member of a genus of Australian and New Zealand trees and shrubs known as honey myrtles or bottlebrush trees. Many of the 100 or so species of tea tree have fragrant, essential oil-containing leaves. At least three species of bottlebrush trees are distilled for their essential oil: Melaleuca alternifolia, from which we get tea tree oil; Melaleuca cajeputi, which yields cajeput essential oil; and Melaleuca viridiflora, the source for niaoli essential oil. Distilled cajeput and niaoli oils retain some of the sweet-woody aromas present in the fresh leaves. Cajeput and niaoli oils are slightly less medicinal smelling than tea tree oil.Although tea tree oil has a history of use as an herbal medicine, it wasn’t until modern biochemists and aromatherapists defined the therapeutic nature of its essential oil that it became widely popular as an alternative medicine. Tea tree leaves have been used by Australian aboriginal people for treating cuts and wounds. The freshly crushed leaves are applied directly to an injury, then secured in place with a mud pack. Apparently the medicinal affects of this tea tree poultice are so powerful that they not only combat infection in the wound but overcome the potential for further infection caused by the application of the less than sterile mud pack.Europeans learned of tea tree’s effects as a folk medicine when they came to settle in Australia in the 19th century. Gradually the scientific community began to research and document the effects of the plant, especially the bactericidal and germicidal properties of the oil.The key to tea tree’s medicinal effectiveness is the ratio of two chemical constituents present in the oil: cineole and terpinen. Although both of these constituents are bactericidal and germicidal, cineole can be a powerful skin irritant. Therefore tea tree oils with low cineole and high terpinen contents are preferred.The cineole/terpinen ratio can vary considerably in the many species of tea tree. The ratio can even vary in the same species growing in different areas. Plants which are identical other than their chemical make-ups are known as chemotypes. This variance prompted the creation of an Australian standard for a minimum terpinen content of 30% and a maximum cineole content of 15%. Now that the plant has been brought into cultivation, a process of selecting and propagating choice plants has produced tea tree oils that surpass the Australian standard, with terpinen contents as high as 40% and cineole contents as low as 5%. When the standard is exceeded in this way, the effectiveness of the oil remains high while its possible irritant effects decrease. In aromatherapy, tea tree essential oil is employed for its physical, rather than emotional or aesthetic nature. This isn’t to say that the strongly medicinal aroma of tea tree is offensive. Many appreciate its underlying intensely warm, nutmeg-like scent. Some of the most effective aromatherapy uses for tea tree oil are cosmetic in nature. For instance, tea tree has a marked oil dissolving and dispersing action, which can help alleviate overly oily secretions of the skin. One way to take advantage of tea tree’s natural astringent action is to dilute 12 drops of the oil in about three ounces of warm water and gently wipe freshly cleaned skin with the mixture using a soft cotton ball. An oily scalp can also benefit from an application of tea tree. Before shampooing, a gentle massage with a few drops of the oil will gently invigorate the scalp and help lift greasy deposits from the hair shaft. Because of the mild qualities of tea tree’s terpinen content, the oil can soothe cuts, scratches, sunburn and cold sores. Because it’s non-irritating, a single drop of the oil can be applied directly to minor injuries once or twice a day. For a soothing sunburn treatment, tea tree is especially effective when paired with lavender oil. Add five drops of tea tree and 11 drops of lavender oil to three ounces of cool, distilled water. Place this mixture in a bottle with a spray atomizer attachment and mist sunburned areas whenever cooling relief is needed. Other oils that sweeten tea tree’s medicinal aroma include clary sage, geranium and marjoram. Spice oils like nutmeg and cinnamon increase the warm-woody notes of tea tree. This spicy blend is good for wintertime diffusion during the cold and flu season. Tea tree oil is an important therapeutic and cosmetic essential oil. Despite its less than beautiful fragrance it should figure prominently in any beginner or advanced aromatherapist’s repertoire.